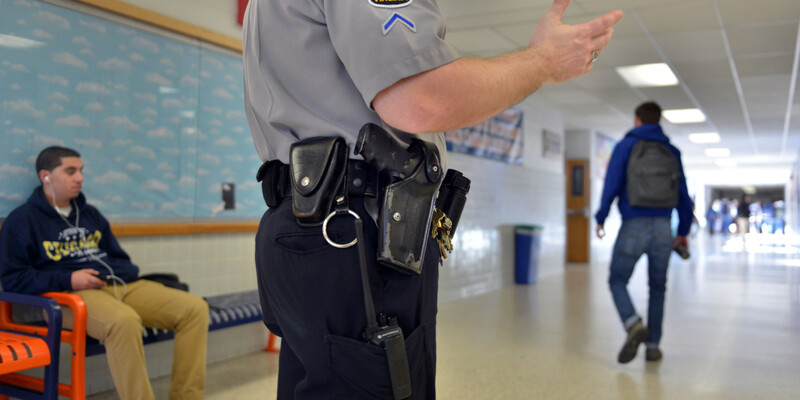 More and more public schools across the country are implementing the inclusion of uniformed police officers – usually referred to as “school resource officers” – into the day to day operations of their educational facilities. Not everyone is comfortable with this trend. On each side of the fence, you have two incredibly passionate parties that disagree with the fundamental differences of whether or not police officers should be in US public schools. On the “pro-police officer” side of things, you have concerned parents that (understandably so) want to keep police officers in school facilities to prevent shootings like the recent attack on Sandy Hook Elementary. On the “pro-children” side of things, you have concerned parents that point to the recent rough shake down attack and arrest of an uncooperative 16-year-old girl near Columbia, South Carolina that points to the overaggressive tendencies that some police officers have in carrying out their duties. To better understand the impact that the presence of police officers in US schools have, and whether or not this trend has any real hope of stemming the tide of violence, crime, and even visit activities in schools throughout the United States, we’ve included some inside information in this short guide that you’ll want to refer to. The practice of implementing school resource officers, uniformed police officers that patrol school grounds during school hours, started in the early 1990s in urban areas and major metropolitan cities. New York City, Detroit, Los Angeles, Chicago, and a handful of other major cities were the first to begin adopting the implementation of the school resource officers, and its original intention was to curb the illicit activities of the students themselves. All of these cities were dealing with significant crime and gang issues, and recruitment of new gang members straight out of high school were at all time high levels. There has been a marked decline since the implementation of those school resource officers in crime and gang activity in the areas that implemented these solutions, though it’s impossible to know whether or not all of that can be tracked back to school resource officers. Since their early 1990s, however, school systems all over the country have put more and more resource officers into play. 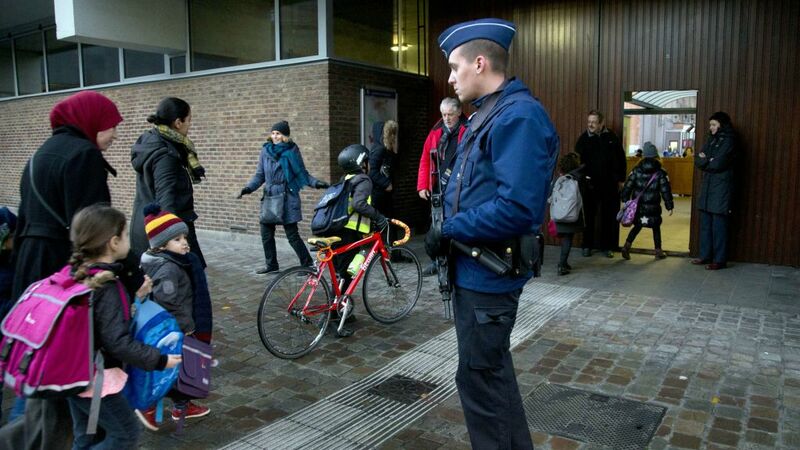 Suburban areas, rural areas, and miniature school districts across the country now have armed and uniformed policeman patrolling their halls with a “zero tolerance” policy for misconduct. This has increased the amount of arrests (especially for minor crimes and offenses) in schools, which some parents aren’t exactly overjoyed with. After all, who wants to find out that their teenager now has a mark on their permanent record because of some teenage foolishness? Even more concerning is that similar foolishness in a wealthy private school would be handled in house. In San Diego alone, arrests for minor crimes (property crimes like vandalism and graffiti, drug and alcohol related offenses, etc.) are sky high – with more than 2500 and arrest rates across all major San Diego unified school districts between the years 2008 in 2013. Many parents believe that minor offenses would be better served being handled by the school, since that is the way it would be handled in a private school. The disparity of how rich and non-rich kids are treated is one of the main criticisms of the policy. On the flip side, of course, uniformed school resource officers in San Diego have also made more than 1300 arrests for weapon offenses, have stopped upwards of 50 bomb threats, and have made more than 1000 of arrests in relation to sexual offenses and assault with a deadly weapon. Though there are more and more instances of police aggression being captured by the public today than ever before (which may have less to do with a more overly aggressive police force and more to do with everyone having a video camera in their pocket), it isn’t reasonable to lump all police officers in with those bad apples. The overwhelming majority of school resource officers are there to protect and serve the student body, the administration, and the faculty – and for the most part, they are doing a fantastic job. Obviously, we are living in as uncertain a world as we’ve ever lived in before, and it’s important that we are protecting our young ones as best we can. 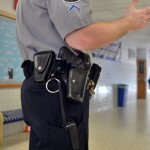 Changes to the nationwide programs of putting armed uniformed police officers into school obviously need to be made to adjust and improve the system, but it certainly doesn’t look like a system that is going to disappear anytime soon. More and more parents are looking to take advantage of private prep schools throughout the United States than ever before. Preparatory schools used to be incredibly popular throughout the 1940s, 50s, and 60s, but things started to taper off throughout the 1970s and 80s – culminating in a tremendous drop in the early 90s through 2000s. However, private and preparatory schools are making a tremendous comeback recently because of the acknowledgement and recognition of the breakdown in the “traditional” model of education. In the opinion of many, public schools just aren’t preparing students for the world ahead of them as well as private schools. This cannot necessarily be blamed on the public schools themselves, more due to the lack of resources the public schools have to deal with and the shift in focus to standardized testing. In fact, confidence in public schools are at an all-time low, and it shouldn’t be all that long until this 100+ year old model of education goes the way of the dodo bird. Some industry insiders expect the privatization of school will rapidly expand in the coming decade, to the point where public school simply can’t compete academically – or otherwise – with private entities. When it comes to private prep schools, you aren’t going to find any that are much more highly regarded than the Trinity School in New York City. Originally founded in 1709, this independent educational entity consistently ranks as the best private school in the country – and one of the best private schools in the world. 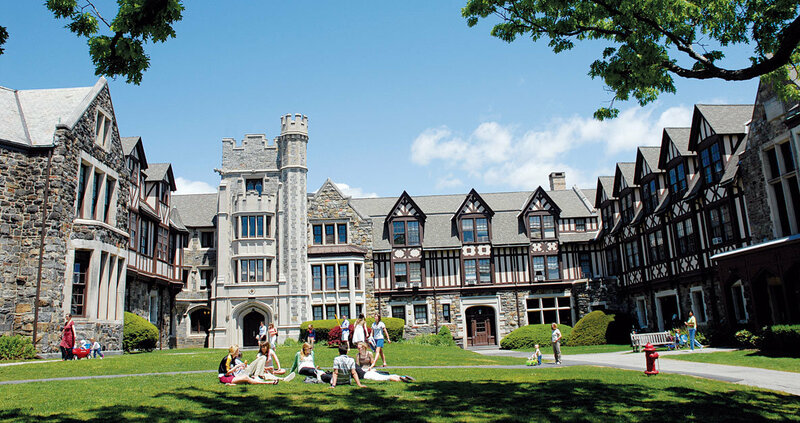 More than 80% of their faculty holds advanced degrees, and graduates of this prep school routinely find themselves welcomed with open arms into the best colleges and universities across the nation. 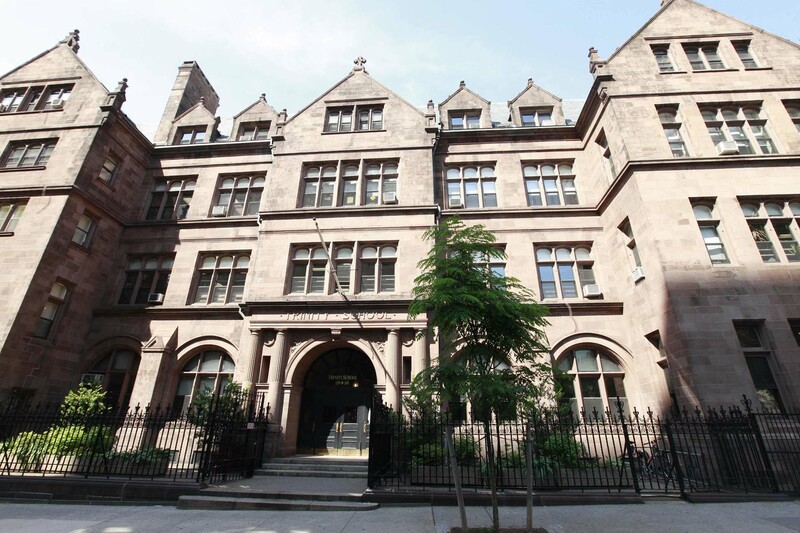 If you’d love nothing more than to send your student to an Ivy League school and prepare them with the best possible education all along the way, the Trinity School in New York City is the place to send them. It should come as no surprise to anyone that most of the best preparatory schools in the country are located in the northeast, as that’s where the overwhelming majority of top universities and colleges are located as well. 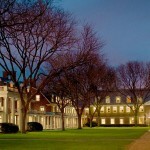 This amazing prep school in Boston is men only, but it’s known for churning out National Merit Scholars, Ivy League bound students, and those that are destined to win advanced degrees and lead successful lives. Established in 1645, this is one of the oldest private schools in the country, but it’s also one of the smallest. Getting into this preparatory school is a significant challenge, as they are maybe the most selective during the application process. Your student will have to go through a rigorous application process, multiple interviews, and score well on their application test to even have an opportunity to attend. 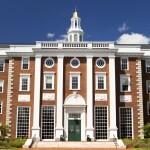 Should they have the opportunity to take advantage of the education here, however, this private school has the highest matriculation rate to all eight of the Ivy League schools, as well as Stanford and MIT. Bouncing back to New York City, this is the perfect counter to the Roxbury Latin School in Boston as it is open only to women. 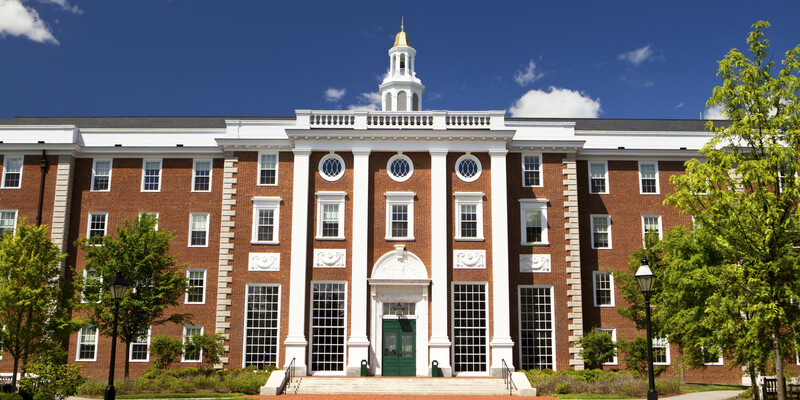 One of the most diverse of all the very top schools in the country (ranked number one as far as all women schools are concerned by Forbes magazine), this preparatory school places 37% of their graduates in Ivy League schools or at Stanford and MIT – just like Roxbury. Students here will have the opportunity to leverage study abroad programs that are incredibly diverse, the school has an amazing arts program, and some of the more famous alumni include Sigourney Weaver, Carolyn Kennedy, and Mary Catherine Bateson. This is as prestigious a prep school as it gets in the United States, and is one of the best opportunities for minority students. 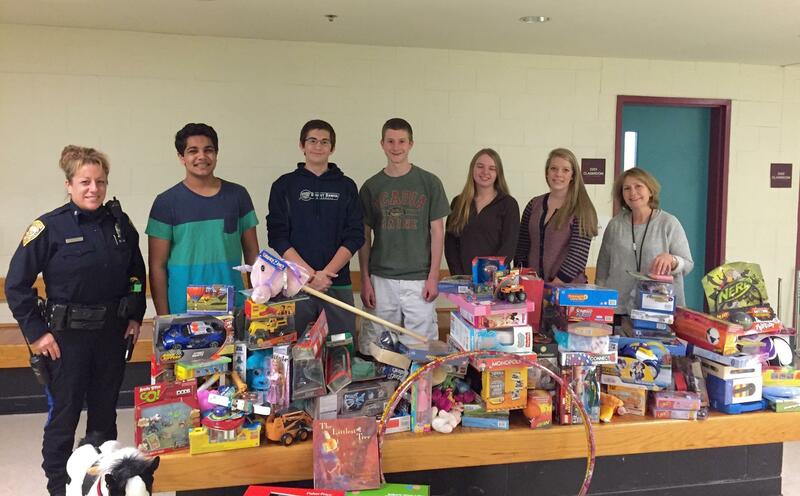 They have a 44% representation in the student body of this amazing private school. At the end of the day, you’ll always have a variety of different opportunities for your student to take advantage of when it comes time to head off to a private school facility. Hopefully you’ll find the inside information listed above to be useful moving forward!